The Italian firm will equip the Black S with P Zero tyres that are also available as part of the Coloured Edition. Just as in Formula One, there are colored markings on the sidewalls, in line with Pirelli’s perfect fit strategy. 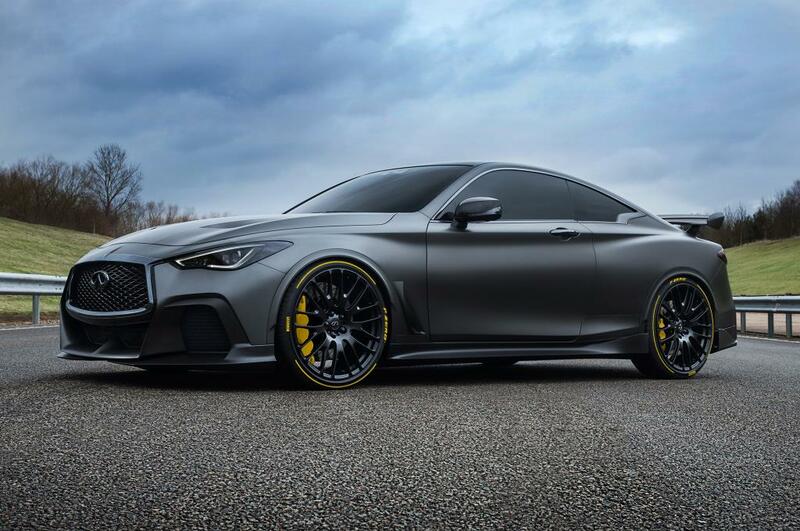 Premium car manufacturer INFINITI and Official Formula One tyre supplier Pirelli have announced they will collaborate on INFINITI’s ‘Project Black S’. The new partnership was announced at the Canadian GP by Tommaso Volpe, Director, INFINITI Global Motorsport, and Paul Hembery, Motorsport Director, Pirelli. Unveiled in March 2017, ‘Project Black S’ explores the potential of a future performance grade for INFINITI. Pirelli’s contribution will include the design and construction of bespoke tyres developed exclusively for ‘Project Black S’. The ground-breaking project hints at how a performance hybrid powertrain – developed in close collaboration with Renault Sport Formula One Team – could significantly enhance the performance and dynamics of an INFINITI Q60. “We are very excited about our ‘Project Black S’ and the work we are doing with Renault Sport Formula One Team on performance hybrid technology,” said Volpe. Pirelli was attracted to the Project Black S as a true track-to-road technology transfer project. “We were fascinated with ‘Project Black S’ since INFINITI unveiled it at the Geneva motor show earlier this year – we simply had to get involved,” said Hembery. Thanks to motorsport and Formula One, Pirelli embarks on a new and challenging collaboration to develop dedicated tyres for a car that features outstanding performance coupled with extreme aerodynamics. Through this partnership, Pirelli’s renowned sporting DNA is demonstrated once more, which is chosen to guarantee the best compromise between performance and safety. ‘Project Black S’ is a collaborative venture between INFINITI and its Renault-Nissan Alliance partner, Renault Sport Formula One Team, celebrating the relationship between the two. “It is great to have Pirelli involved in Project Black S,” said Cyril Abiteboul, Managing Director, Renault Sport Racing.